What is family farming? How can it help meet the challenges confronting the world? How can it contribute to a sustainable and more equitable development? Not only is family farming the predominant form of agriculture around the world, especially so in developing countries, it is also the agriculture of the future. By declaring 2014 the “International Year of Family Farming,” the United Nations has placed this form of production at the center of debates on agricultural development. These debates are often reduced to two opposing positions. The first advocates the development of industrial or company agriculture, supposedly efficient because it follows industrial processes for market-oriented mass production. The second promotes the preservation of family farming with its close links between family and farm. 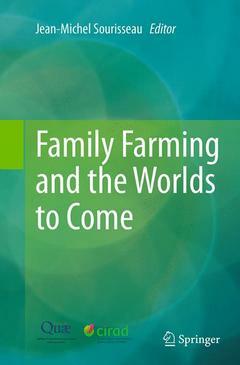 The authors of this book wish to enrich the debates by helping overcome stereotypes – which often manifest through the use of terms such as “small-scale farming, subsistence farming, peasant, etc.” Research work has emphatically demonstrated the great adaptability of family farming systems and their ability to meet the major challenges of tomorrow but it has also not overlooked their limitations. The authors explore the choices facing society and possible development trajectories at national and international levels, and the contribution that agriculture will have to make. They call for a recommitment of public policies in favor of family farming in developing countries and stress the importance of planning actions targeted at and tailored to the family character of agricultural models. But, above all, they highlight the need to overcome strictly sectoral rationales, by placing family farming at the core of a broader economic and social project. This book is the result of a collaborative effort led by CIRAD and encapsulates three decades of research on family farming. It will interest researchers, teachers and students, and all those involved in national and international efforts for the development of countries in the South. Coordinating editor of this book, is a socio-economist at CIRAD. Since 2010, he is responsible for the program "Trajectories, differentiations and inequalities in rural societies" of the French research unit ART-Dev. He is currently working on family farming systems, to renew the analytical frameworks of their strategies and performance. As CIRAD’s focal point for the International Year of Family Farming, he recently published several books and articles on the topic and is invited to many international conferences on family farming all over the world.